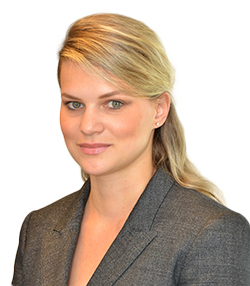 Vlada Samatova is an Associate Immigration Attorney at Latorre Law Firm. Ms. Samatova’s practice consists of assisting clients in the preparation and filing of family-based and DACA petitions, as well as applications for naturalization, and employment authorizations. As an immigrant herself, Ms. Samatova understands and appreciates the worries and hardships her clients have to go through. Ms. Samatova received her Juris Doctor Degree from Charlotte School of Law in 2015, and she successfully passed the NC Bar exam at the first try. While in Law School Ms. Samatova interned at various law firms, and volunteered at a Non-profit agency. She has also been actively involved in the community and pro-bono opportunities all throughout law school. Ms.Samatova has completed her undergraduate degree at the University of North Carolina at Charlotte, with a major in Communication Studies and a minor in Spanish. Ms. Samatova is currently working on perfecting her Spanish, and she is not only fluent in English, but is also native in Russian. Ms. Samatova moved to USA from Russia in 2008 with a desire to obtain higher education from a US college and subsequently Law School. During her educational period, she fell in love with Charlotte and is now proud to call it her new home.